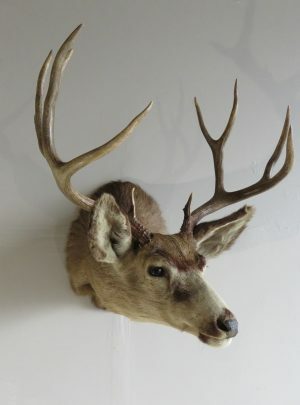 This is an amazing center piece mount! 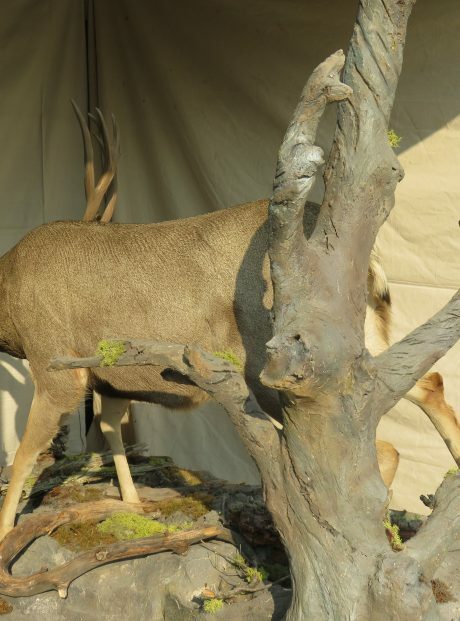 Workmanship is competition grade creation. Mule deer itself is a trophy class buck. 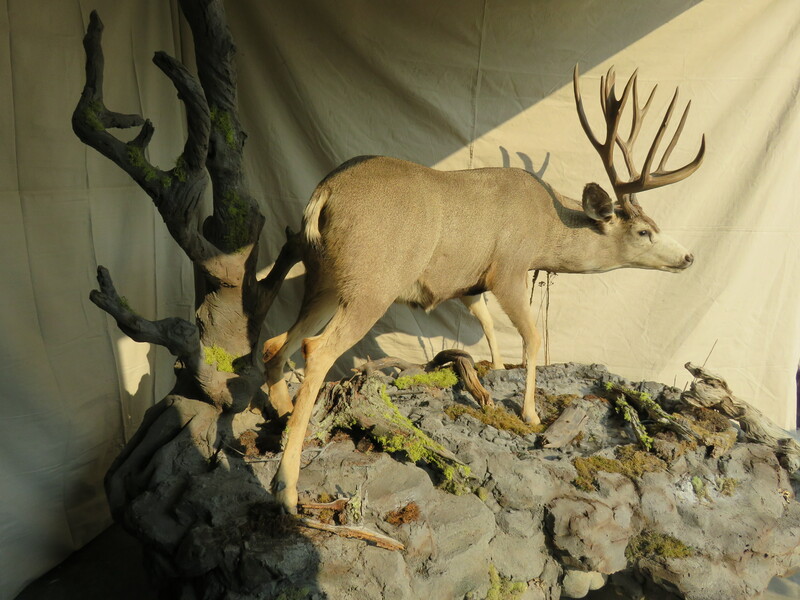 Life size mount that features an incredible look with great base. 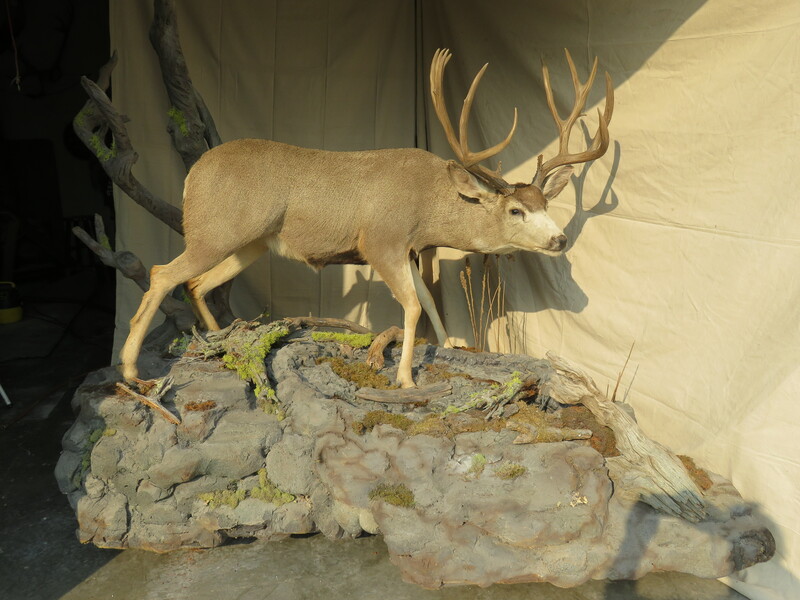 Water feature that comes up at the feet of this massive Montana muley buck. 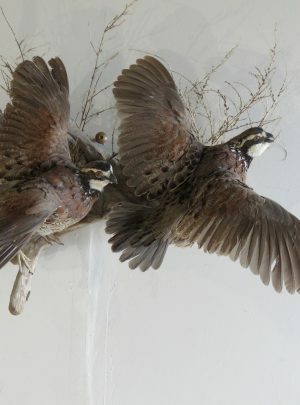 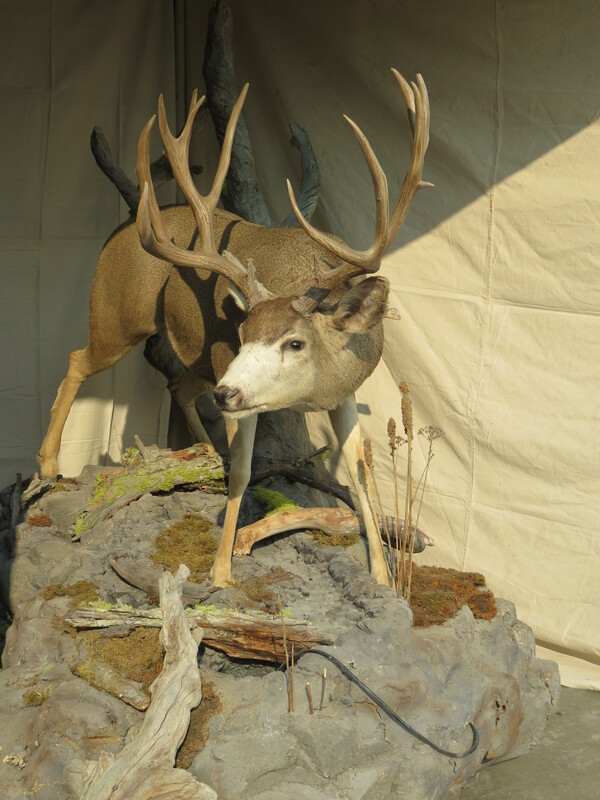 All-in-all this is a one of a kind showroom piece for the person who appreciates wildlife and wants a piece of it that they can enjoy and share with others. 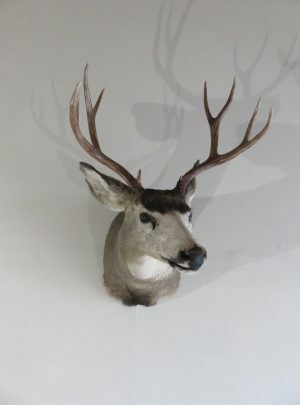 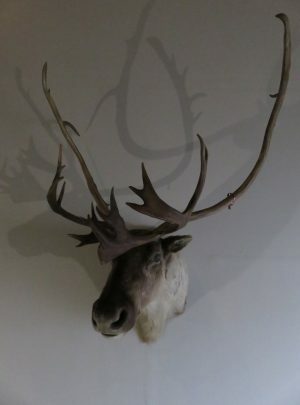 Let’s start with the rack on this guy… It is the first thing that caught our eye upon seeing this taxidermy creation. 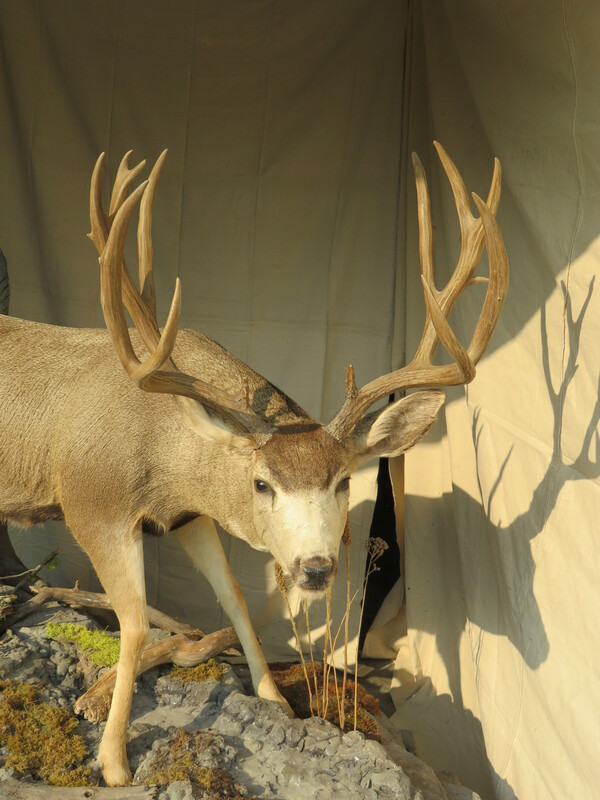 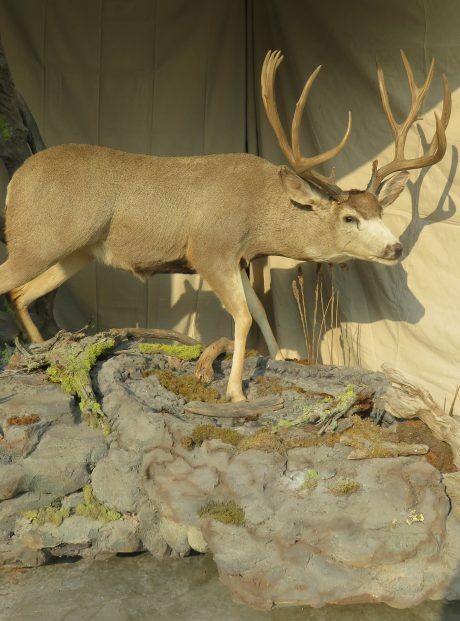 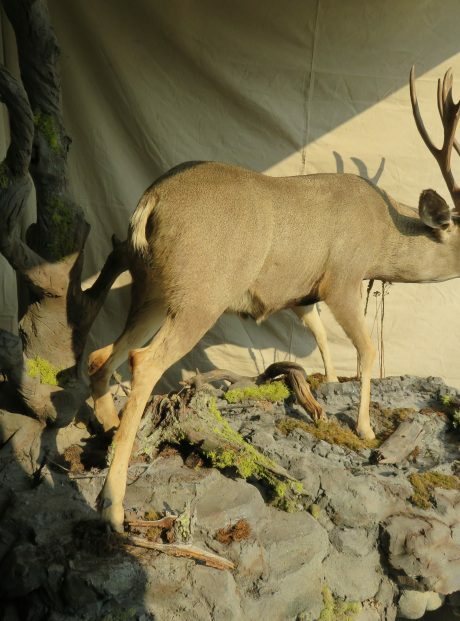 This mule deer buck has an amazing set of antlers that measure 26″ outside to outside at the widest point. 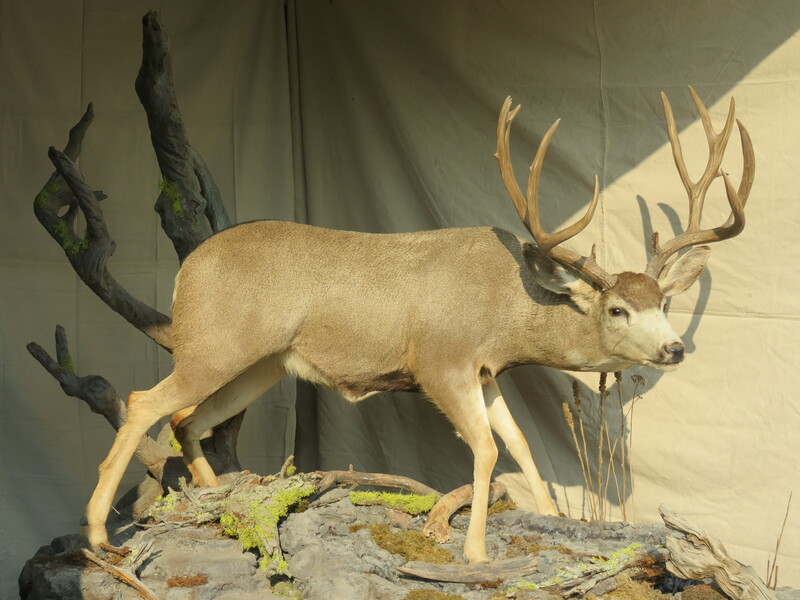 He has 14 total points (Eastern count) and is a 7 x 7 trophy. 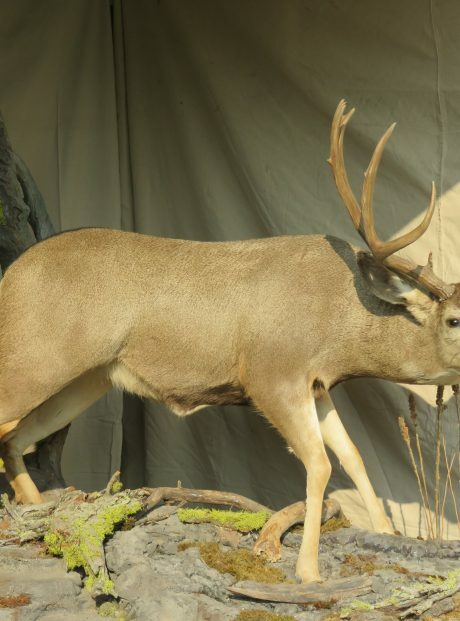 The pose is standing straddle legged in a creek bed with legs out and looking like he’s about to get a drink, but also being aware of his surroundings. 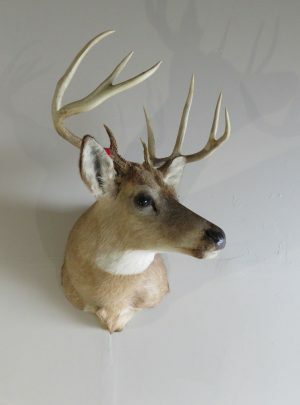 He is head forward facing towards his left side. All sides of this piece are made to have a spectacular view and lends to making this a center piece for the showroom or museum. 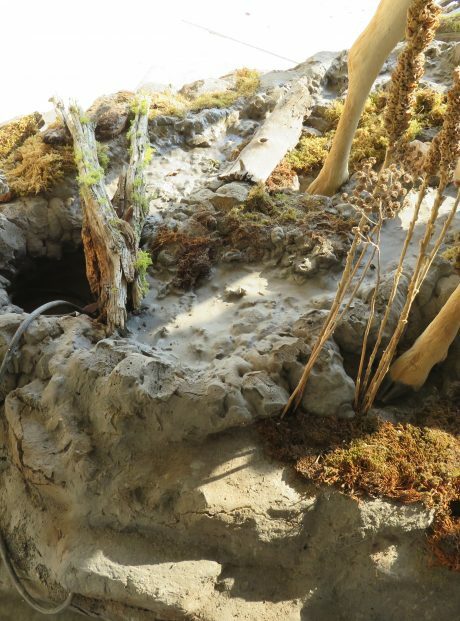 The workmanship on this base lacks nothing! 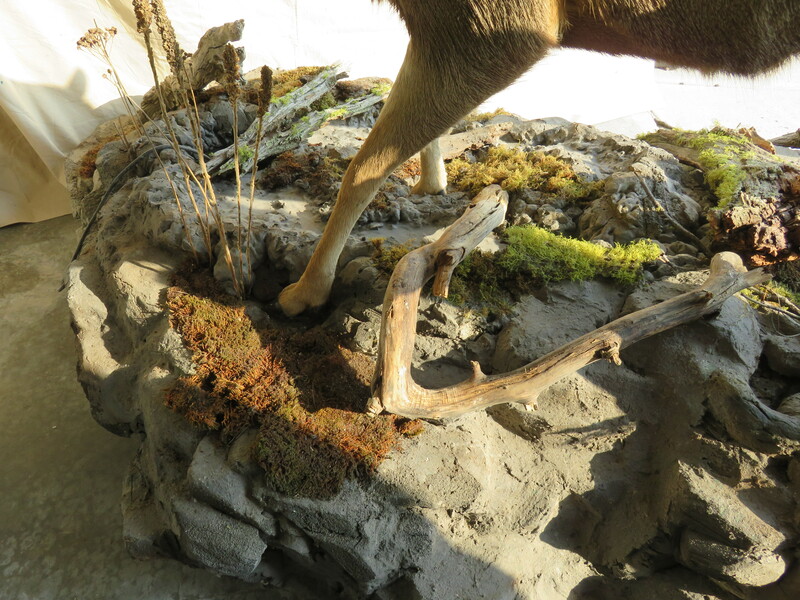 To start with it is a large base that has a tree behind the buck with moss and limbs as one would expect to see in the wild. 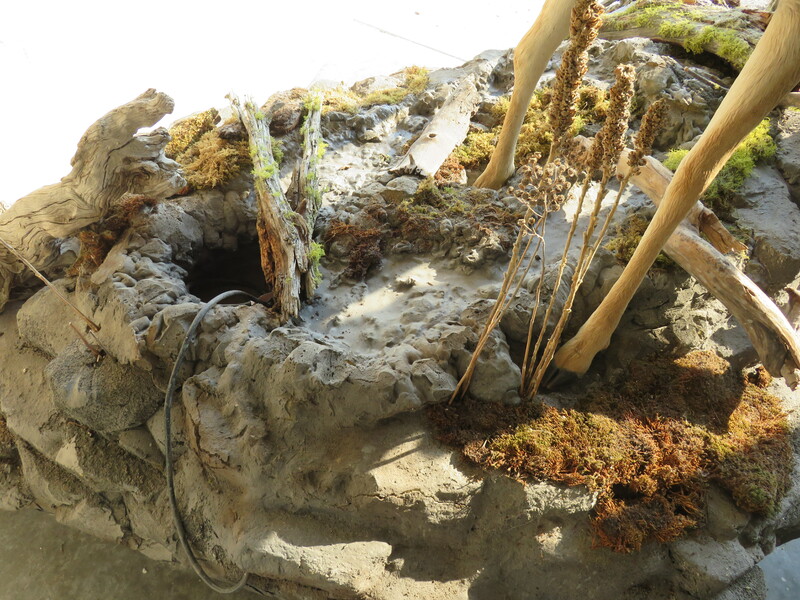 The ground has moss, limbs and rock that you would find along any stream in the wild. 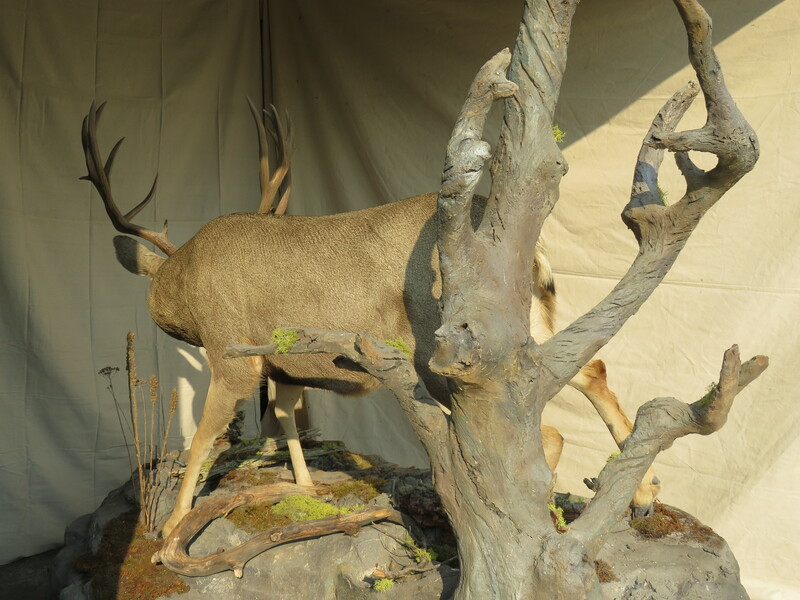 Which brings us to the spring… It has a reservoir and pump that have water flow from the ground in front of the bucks feet. 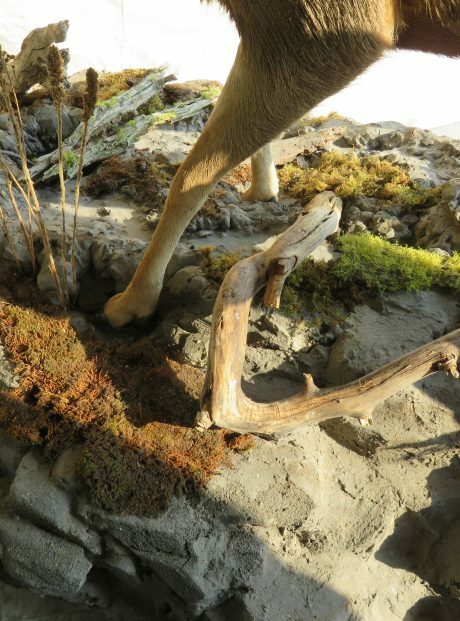 (See attached photos) The cord is visible in the photo but is normally beneath the mount and out of sight. 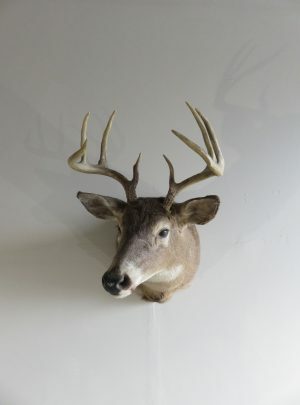 While this is a large mount, it is built with casters underneath for easy maneuvering. 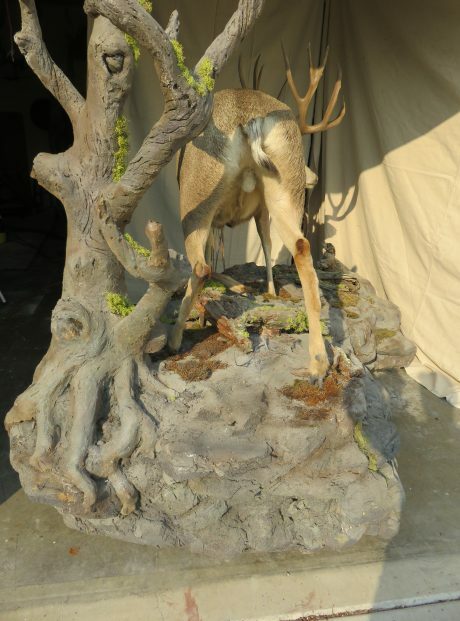 Overall mount size is approximately 8′ in length x 5′ wide x 7′ tall. 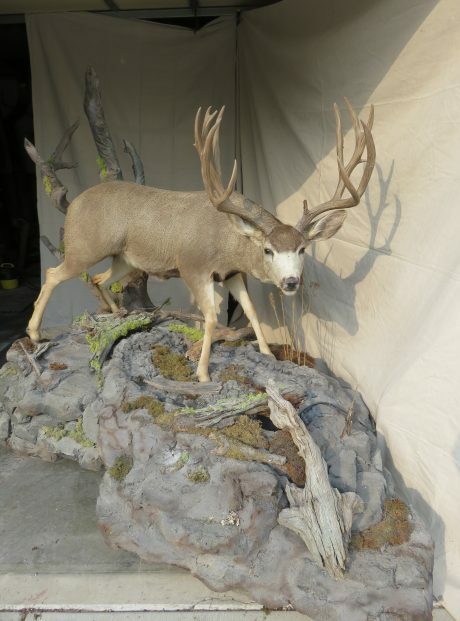 (All measured at greatest points) This will require an over sized doorway to facilitate this product. 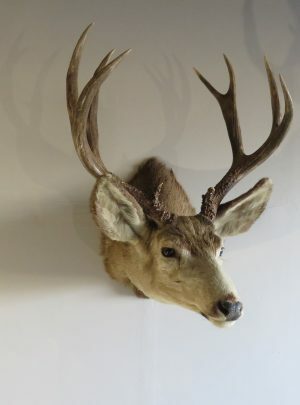 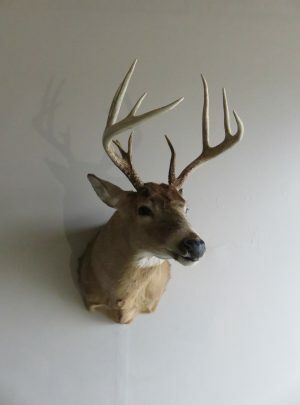 It would look great in a sporting goods store, auto dealership, hotel lobby or any other business that wants to make a statement with an amazing wildlife subject and trophy class Mule deer buck.